Enable your support agents to resolve more queries faster. Answers to your customers’ queries reside in multiple knowledge bases within your organization. 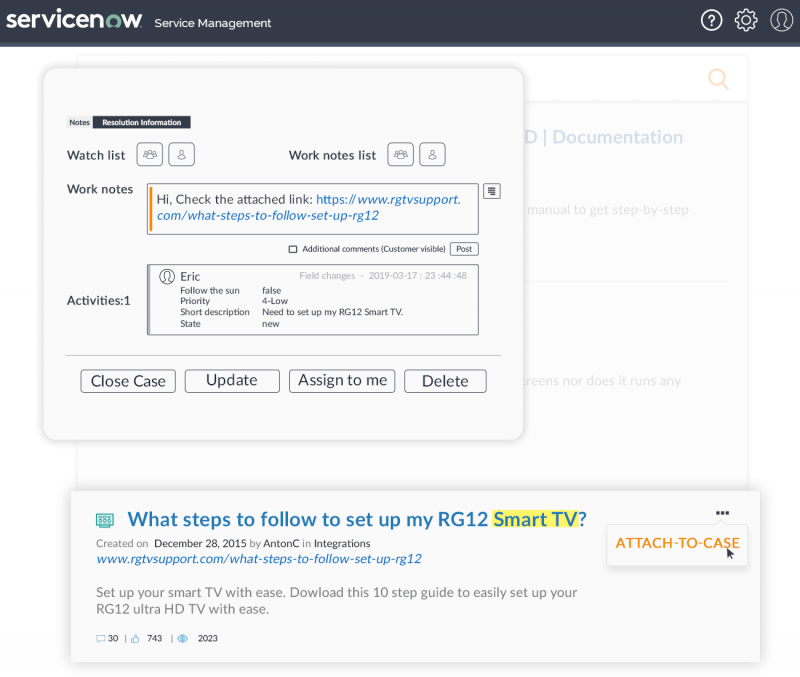 Your support agents have to constantly move out of the ServiceNow console to retrieve incident-resolving content from these silos. 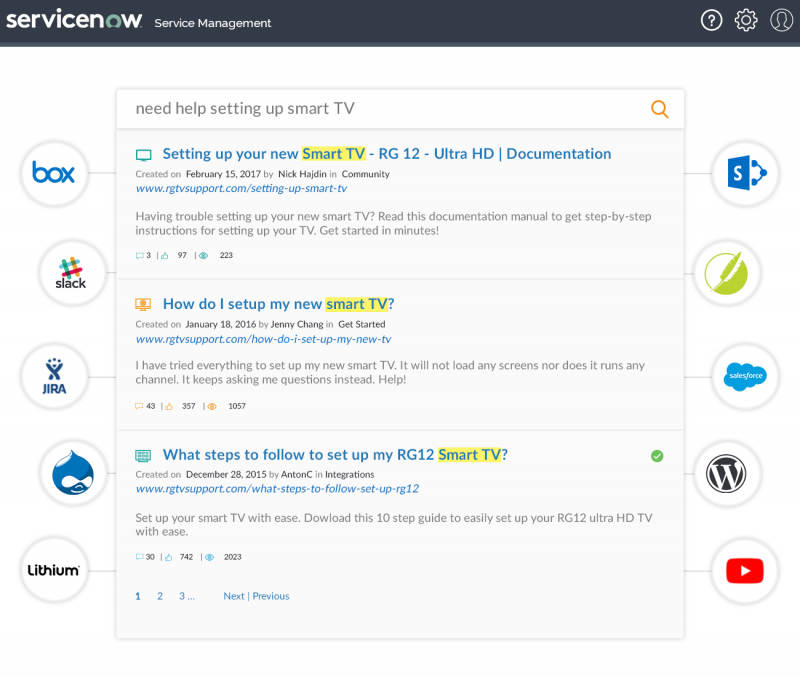 You can help speed things up by providing them with seamless access to scattered knowledge inside the ServiceNow infrastructure. Customer Satisfaction (CSAT) takes a hit when your customers get irrelevant responses to their queries or help content that they’ve already tried. Empower your support reps with insight into the customer journey before they contacted your support team. Leveraging this insight, your support reps can always provide better and more relevant solutions in the first call/contact. 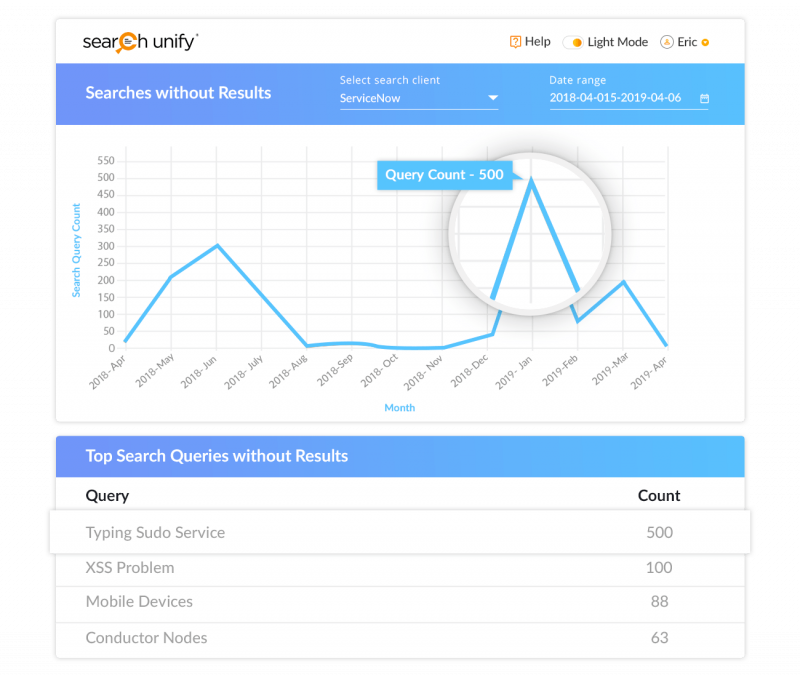 SearchUnify combines AI with deep learning to provide rich insights into incidents that are resolved, closed or canceled. Once you understand what content helped your agents resolve queries successfully and what they searched for but couldn’t find, you can improve your content strategy and fill the content gaps if there are any. The easier you make KCS adoption for your support reps, the more successful it will be. 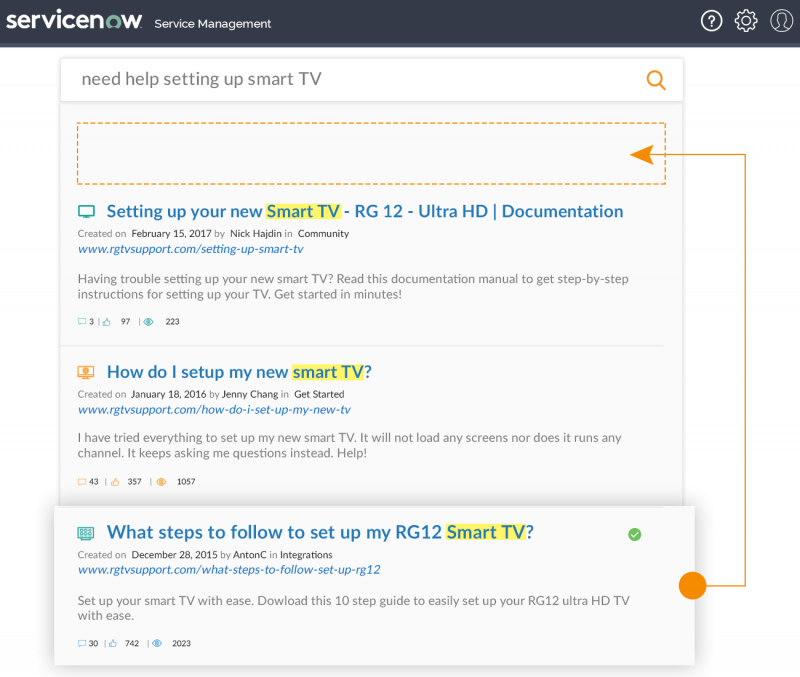 SearchUnify enables your agents to search smartly and offers features like ‘Attach to Case’ that help them share knowledge articles easily, which leads to a successful KCS implementation.